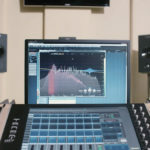 Waves Audio brings the sound of the EMI TG12410 mastering console to plugin format with their Waves TG Mastering Chain. 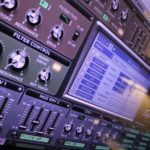 The developers at Waves Audio meticulously modelled the legendary TG12410 mastering consoles on a component to component basis. 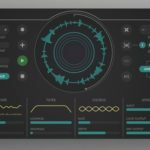 They have added some very intuitive interface tweaks that make the plugin incredibly easy-to-use, you have the ability to change the routing of your mastering chain by simply dragging and dropping the separate modules around. The system is made up of five individual modules, which each have an individual stereo/duo/mid-side processing switch. Furthermore, you have an advanced settings switch in the top-right of each module, that opens up a variety of more advanced controls for that module. Like I said the system is comprised of various modules, the TG12411 Input Module takes care of the input stage of the mastering chain, here you have the ability to adjust phase, stereo balance, input gain alongside some more advanced parameters. The next module in the new Waves TG Mastering Chain is the TG12412 Tone Module, this is essentially a four band EQ however if you open the advanced control you have individual control over the two channels, whether in stereo or mid-side. What’s under the hood with the compression and limiting? At the heart of the Waves TG Mastering Chain is the TG12413 Compressor/Limiter module, compression and limiting is arguably one of the key aspects of mastering, so Waves definitely spared no expense here. 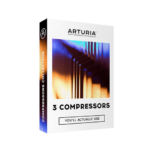 Here you have the ability to switch between an emulation of the original TG12413 module, a more modern approach to compression from Waves and a “Limit” setting which can be described as the best of both worlds. 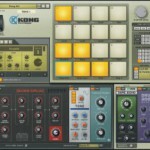 In the advanced section of the TG12413 module you have access to sidechain filters and some other fine-tune settings. The TG12414 Filter Module takes care of any high-pass or low-pass processing that you might need, it also contains a “presence” filter which boosts a frequency that you can dial in. The last module in the Waves TG Mastering Chain system is the TG12416 Spread and Output module, this one can only be the last module in the chain, which makes sense as it’s the output module, it has a few simple controls for boosting wideness, volume adjustments or switching between stereo and mono. 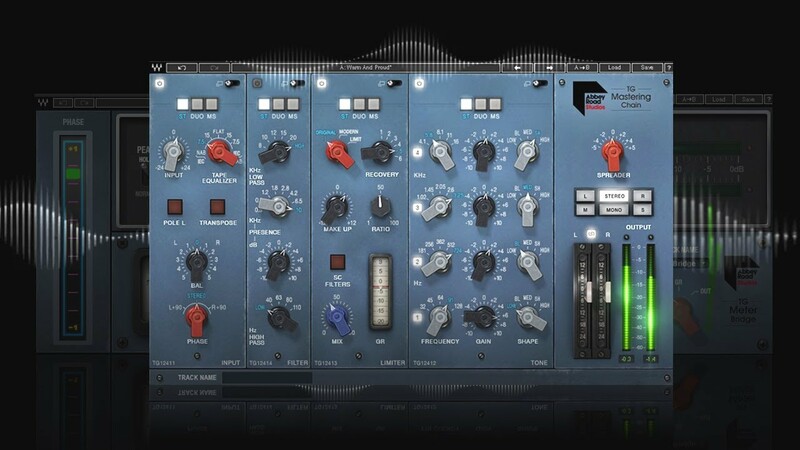 The Waves TG Mastering Chain plugin is set to retail at USD $199 (Around R2900), however it’s currently on special for only USD $39 (Around R600). 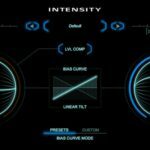 Zynaptiq Intensity – add facial recognition algorithm for your mix!